Replacement 65W AC Adapter Charger for Lenovo Ideapad Yoga 700/Yoga 900/Yoga 3. Condition is Used. Dispatched with Royal Mail 2nd Class. Fully working surplus chargers. Genuine Lenovo product as supplied with laptops. Will not fit lenovo ideapad 110S-11IBR. Power: 45W. DC Output: 20V 2.25A. Product Details. Connector Size: 11 x 4.6mm (USB Type). AC Input: 100~240V / 50-60HZ. Warranty: 1 Year. Power: 65W. 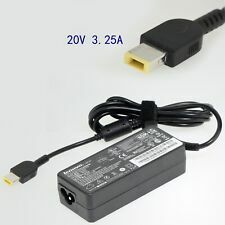 Charger / Adapter for Lenovo IdeaPad 305-15IBD 305-15IHW Laptop. For Lenovo IdeaPad U430p, Lenovo IdeaPad U530, Lenovo IdeaPad U530 Touch 59401453. Lenovo IdeaPad U430 Touch, Lenovo IdeaPad U430 Touch 59399722. Lenovo IdeaPad U530 Touch 59401457, Lenovo IdeaPad U530 Touch 59401459. Compatible Product LineFor Lenovo IdeaPad. Output: 5V 4A 20W. Output Power20W. Input: AC 100-240V, 50-60Hz. This product is good for the following Models and Part#. ▶ Item SpecificationsInput: AC 100-240V, 50-60Hz Output: DC 20V 2.25A Power: 45W Outlet: 3-Prong Connecter: 4.0mm*1.7mm Condition: Brand New Replacement Product, works as genuine parts, 100% OEM Compatible! 2.5ft US power cord included. 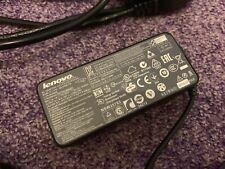 ▶ Replace Part Numbers Lenovo Laptop Charger AC Adapter Power Supply PA-1450-55LL 5A10H42923 NOTE: Please make sure the DC output and tip size of ac adapter are accordant before you bid. Compatible Product LineFor Lenovo IdeaPad. Lenovo Flex 14, Flex 15, G40, G50. IdeaPad U430p, U530, Yoga 11, Yoga 11e, Yoga 13, Yoga 2 Pro, Z510. Lenovo ADLX45NDC2A ADLX45NCC3A ADLX45NDC3 ADLX45NDC3A ADLX45NLC2 ADLX45NLC2A ADLX45NLC3 ADLX45NLC3A ADLX65NCC3A ADLX65NDC3A ADLX65NLC3A ADLX65SDC2A ADLX65SLC2A;. 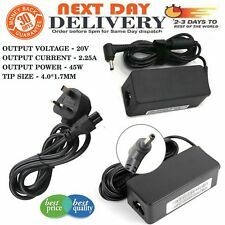 Feature: This is a Brand New COMPATIBLE Product Product Type: AC Power Adaptor / Charger AC Input: 100~240V / 50-60HZ DC Output: 20V 2.25A Power: 45W Colour: Black Connector Size: 4.0 x 1.7mm Plug Type: 3pin (UK) Modified Item No Custom Bundle No Compatible Brand For Lenovo Max. Output Power 45W Output Voltage(s) 20V Compatible Product Line For Lenovo IdeaPad MPN Does Not Apply Brand Does Not Apply Non-Domestic Product No Output Current 2.25A EAN Does not apply. Lenovo Ideapad 300, 300S, 310, 320, 320S Series. Compatible Product LineFor Lenovo IdeaPad. 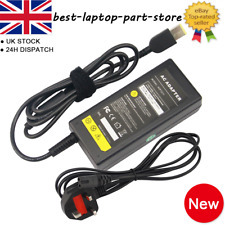 WARNING: ONLY FIT FOR LENOVO IDEAPAD 100S 100S-14IBR 100S-14IBY LAPTOP ! WARNING: DC Output: 20V 2.25A 45W. Laptop battery for lenovo. Laptop & Desktop Accessories. Laptop battery for hp. Laptop battery for dell. Laptop battery for apple. 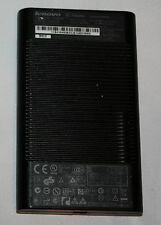 Laptop battery for IBM. Laptop battery for toshiba. Laptop battery for acer. 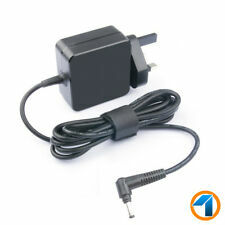 Lenovo IdeaPad/ ThinkPad Compatible Charger (TJ Inspirations) 20V/2.25 A. 3 Months Warranty. Used it only for 4 days. Original packaging and 3 months warranty included. Power: 45W. POWER CORD is included where applicable. DC Output: 20V 2.25A. Product Details. AC Input: 100~240V / 50-60HZ. Lenovo Ideapad Power Charger Ac Adapter.